Tiny diamond measures 1/4" wide and dangles from the most delicate chain. The length is about 4 inches. The Indian Meaning of Arya is Nobel Goddess. 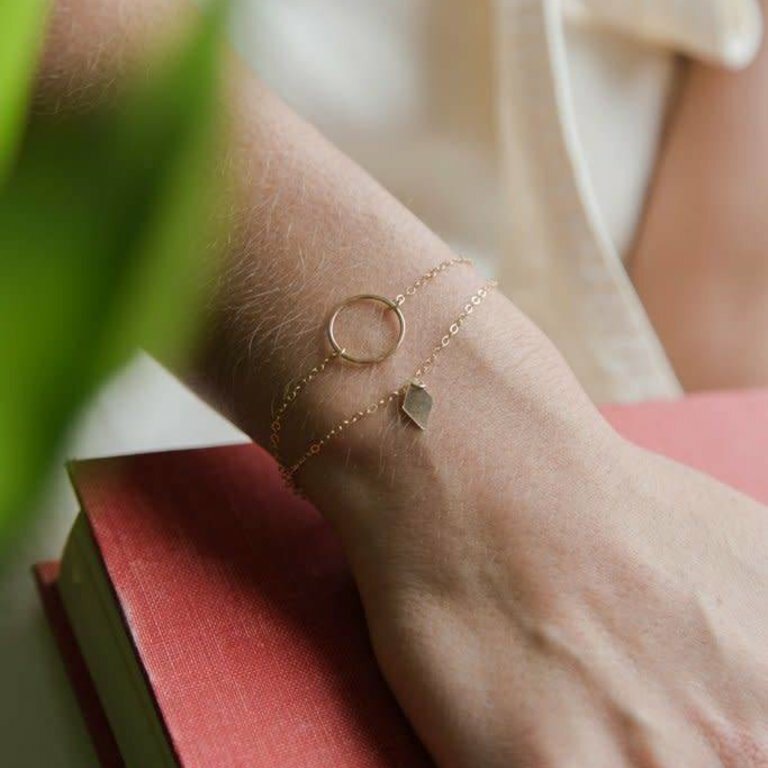 Inspired by all the beautiful Goddesses that are a part of my Tribe. 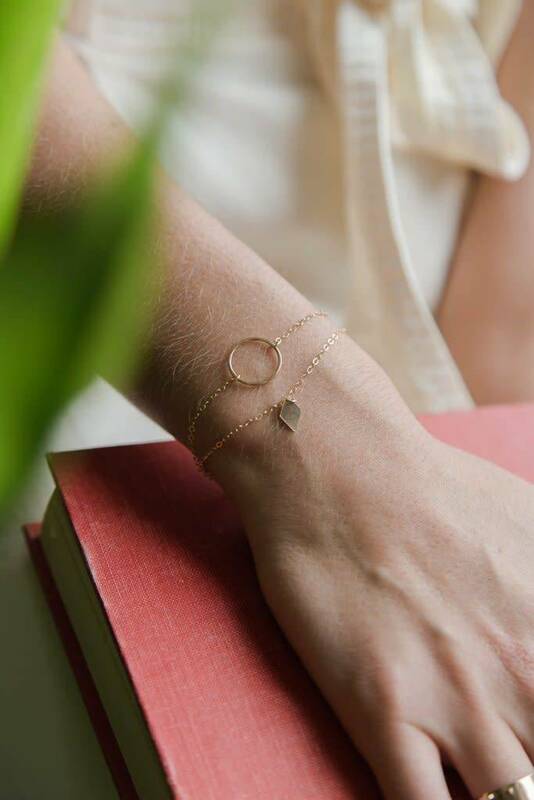 Dainty + delicate piece of jewelry. 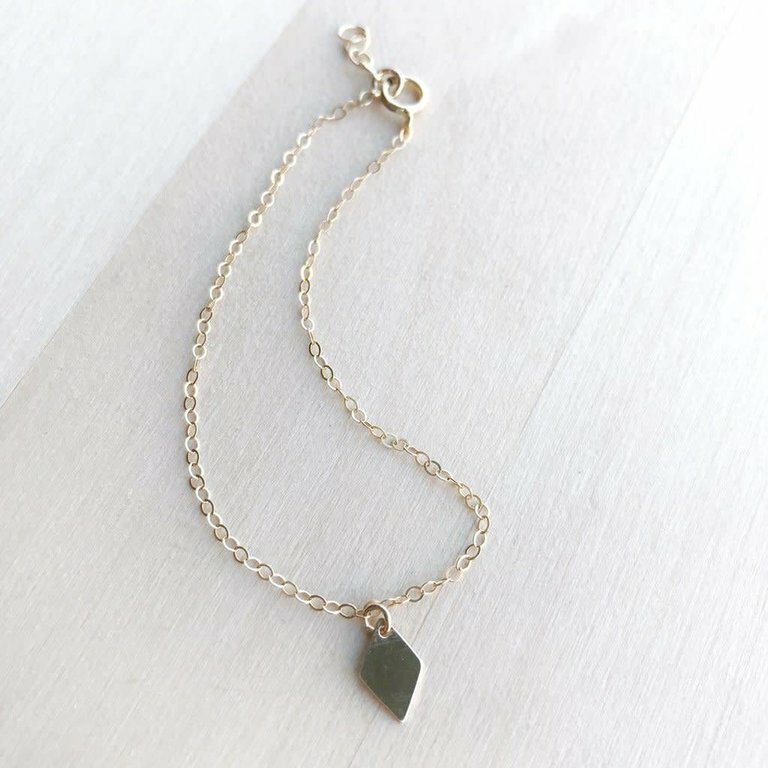 Tiny triangle measures 1/4" wide and is attached a delicate chain.